There is the belief in some of the more primitive peoples of South America, North American natives and some tribes in Africa that a person’s soul can be captured in a photograph. Just because this may not be your belief, we should not just dismiss the concept. When you see a photograph like the Afghan girl by Steve McCurrey or the photograph of a girl running naked during the Vietnamese war by Nick Ut, you can truly believe that a part of someone’s soul had been captured. There are so very many examples of this. 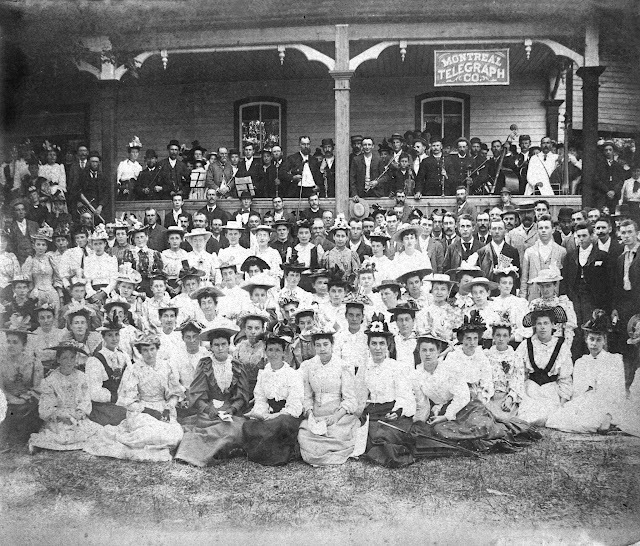 My good buddy John has a tin type photo of what appears to be a church social around the turn of the century. When you really look at this picture you can see right into the character of the people that are attending the social. It is a very interesting and fascinating moment captured for all time. Not too many years ago we would hold the funeral viewing of our dearly departed in our own parlours. We would cover all of the mirrors in the house because it was thought that the soul could accidentally get trapped inside of the mirror. This is because it was believed that a mirror was thought to reflect your soul, not the light that strikes it. I have always wondered what the handsome devil in the mirror thinks about. I was in a second hand store yesterday when I heard a woman yelling that her purse had been lost. She had put it down for just a minute and now it was gone. Who puts a purse down in a second hand store? She ran around the store looking in everyone’s basket and I suppose checking for suspicious bulges in coats. There was a point where she cried out “MY purse! My whole life is in that purse! MY credit cards, my phone, my ID!” I admit that I was wandering around looking at people and on shelves hoping to find this poor woman’s purse. What a heart stopping event! I have heard the same lamentations from young people when they lose their phones and laptops. A friend who is a teacher lost five years of lesson plans and of course all of her music, contacts, photos and other important data when the hard drive crashed. Another friend lost his phone which contained his life for the past few years in photos, contacts, and all of the other apps that make modern life so complicated. Perhaps the cell phone is the modern equivalent of the photograph to a tribesman or a mirror of the past century. Where is the soul? What is the soul? Can you capture it? I thought that I captured angels in a jar when I trapped fireflies back in the day. Perhaps they were lost souls that were trying to light their way to heaven. I have no idea, but I do hope that woman found her purse and that her life was returned to her. Personally, I could lose my phone and it wouldn’t bother me too much. I wouldn’t like to lose the iPad, but that is because it has wormed its way into my life. I can tell you from personal experience that losing the hard drive can be devastating. Personally, I now back up everything, twice. I have even backed up my soul, partly in this blog and also in the memories of my kids and grandkids. You know, I think that it is possible to capture a soul. Mine has been captured by Hurricane and Tornado.